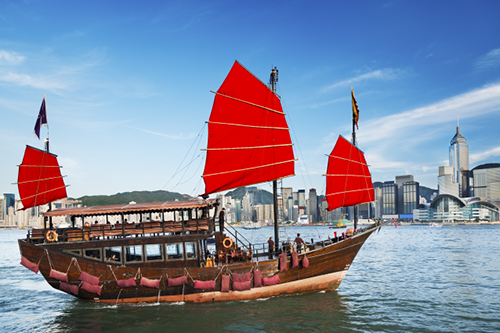 Discover the Pearl of the Orient with a Hong Kong holiday package deal. You'll get to explore the city's contrasting delights while enjoying major discounts on flights and accommodation prices. Don't spend hours online searching for the best deals, instead let Webjet do all the hard work. We curate the top specials from leading airlines and hotels to ensure you're getting excellent value for your money. Enter your travel dates, select your preferred hotel and your holiday is booked. All that's left to do is pack your bags and get ready to explore one of Asia's most exciting city destinations! Start searching the latest Hong Kong holiday packages from New Zealand with Webjet's powerful search engine. There are 23 flights per week from Auckland (AKL) to Hong Kong (HKG). You can get a direct flight between the two cities with Air New Zealand, Cathay Pacific, Finnair, and Hong Kong Airlines. All four airlines operate a non-stop 11h 10 min route. If you're flying from Wellington (WLG), Christchurch (CHC) or Queenstown (ZQN), you can get a connecting flight via Auckland. You can find cheaper flights with layovers in either Kuala Lumpur, Sydney or China. New Zealanders can also get a visa on arrival for up to 90 days upon arrival in Hong Kong, making air travel into the city easy and stress-free. Hong Kong packages come with a range of accommodation options. Stay in one of the city's five-star luxury hotels or keep your budget in check with a room at a stylish hostel. Lan Kwai Fong is an award-winning boutique hotel in central Hong Kong. The rooms are furnished with exquisite oriental decor, and you'll be in the perfect location for exploring the city. The hotel is within walking distance of Hong Kong's trendy nightlife scene, high-end shopping centres, art galleries, and Michelin restaurants. It's an excellent option for business travellers or Kiwis looking to experience the best the city has to offer. Located in the city centre, Park Lane offers Kiwi jet-setters a contemporary urban sanctuary. You'll be a stone's throw from Hong Kong's top attractions, as well top restaurants and designer boutiques. But what makes this hotel stand out from the rest is its incredible views of the harbour, Victoria Park and the Kowloon skyline. Travelling to Hong Kong on a budget? Book a holiday package with Y Loft Youth Square. It's a trendy hostel that doesn't skimp on comfort. You'll have access to a fitness centre, a 24-hour laundry mat, a business corner and rooms designed by up and coming local artists. Hong Kong is one of the world's most glamorous destinations. It's a melting pot of cultures, luxury shopping, and mouth-watering dim sum. Explore the vibrant city lights at night and learn about Hong Kong's fascinating history during the day. Whether you're into glitzy shopping malls or ancient temples, there's more than enough to keep you entertained. Located in Victoria Harbour, the Star Ferry is an iconic Hong Kong attraction. It dates back to 1880 and only costs a few dollars to ride. As you glide along the waters, you'll pass the city's impressive skyline with the green mountains rising in the background. Or if you catch the ferry in the evening, you can watch the 360-degree laser show! If you're looking for the best view in Hong Kong, head up to Victoria Peak. You can take a tram to the top of the viewpoint and watch the bustling city and surrounding islands below. Plan your visit for sunset and watch the day go out in style while the city’s towering skyscrapers light up. Standing at 34 meters high, the Big Buddha is the largest free-standing statue in the world. Located on top of Lantau Island's Po Lin monastery, it took 12 years to complete. If you're an early riser, you can climb to the top for sunrise with a monk and watch the day break over the surrounding islands. The best time to visit Hong Kong is between October and December. You'll miss the typhoon season and temperatures are cool and comfortable. If you're on a budget, plan your trip around the public holidays to lock in lower prices for accommodation. January to March is the most affordable time of year to visit Hong Kong. It's low season, and the cold winter temperatures make it easy to find cheap Hong Kong accommodation and flight packages. High season is during the city's summer months. From June to September, you can expect large crowds at the top attractions, typhoons and hotel rates to skyrocket.